How Green Are Paper Cups? Why plastic needs to become a thing of the past, and what can be done to improve the eco-friendliness of paper alternatives. The war against plastic has gained new ground with news that Glastonbury music festival will be imposing a blanket ban of plastic bottles from 2019 onwards. The event is known to be environmentally-friendly and is having a fallow year in 2018 to allow the local area and ground to recover from the 175,000 plus attendees who visited last year. More than 1 million plastic bottles were used in 2017 even though guests were encouraged to purchase a £10 stainless steel bottle which could be refilled at one of the 400 taps onsite. Of course, it is fairly easy to spread awareness as to why plastic bottles are bad news. Not only do they expose the body to BPAs which some argue may cause everything from fertility problems to cancer, they are also not biodegradable and take more than 400 years to disintegrate. Although plastic bottles can technically be recycled, unfortunately around 79% end up in landfills. So, it’s easy for consumers to make the switch from plastic to reusable bottles of water. What is not so easy to get to grips with, is the debate regarding plastic cups vs paper cups. Are paper cups completely guilt-free when it comes to the disposable beverage market? The answer sadly is no, not quite; but they’re preferable. One of the problems that exists in the recycling of paper cups, is that there are a lack of facilities in place to successfully recycle the essential components of our convenient ‘to-go’ lifestyle. Around 2.5 billion coffee cups, both plastic and paper, are discarded every year within the UK, and yet only around 0.25% are able to be recycled. Paper cups, while superior to plastic, are often lined with a waterproof material called plastic polyethylene which allows the beverage to be held inside the cup without leaking through and turning the container into mush. However, plastic polyethylene can only be broken down at very specialised recycling plants, of which there are only 3 currently available within the UK. So, unfortunately, although various coffee chains advertise that their cups are recyclable, the sad reality is that the majority end of paper cups still up landfills alongside their plastic counterparts. 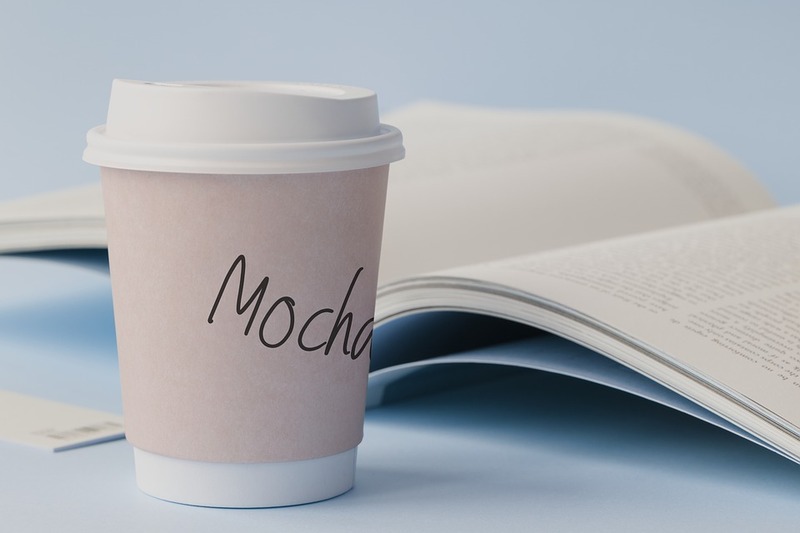 However, if coffee chains and consumers are willing to invest more into eco-friendly technology, then there are some paper cup alternatives which are preferable in terms of the environment, although they will push up the cost of your hot drink take-out. Three options in particular stand out as viable solutions in the quest to produce a greener paper cup. First, it is possible to mix an additive with the polyethylene which allows the cup to biodegrade over time if simply tossed into a landfill. This technology is already mandatory in some Middle Eastern countries. A similar approach involves replacing the polyethylene lining with a poly lactic acid alternative. This is a natural starch that produces a 100% biodegradable receptacle that may also be compostable too in the right environment. A final solution would be to create a cup made entirely from wood pulp, which would be 100% compostable but would cost 30-40% more than the current traditional paper cup. There is no doubt that while there is some way to go before the best types of paper cup are available in the mainstream, that plastic cups need to become a thing of the past. Hopefully if other responsible brands follow in the footsteps of Glastonbury, then there will be an increased awareness of the dangers of using plastic and why we need to invest more into paper alternatives.